Carnitine is arguably one of the most well-known supplements in the bodybuilding industry. It’s been around for decades…literally! Most gym enthusiasts have tried it at one time or another. Its traditional indication for use has been as a fat-loss agent, but as we will see, the actual scientific support for carnitine working in this way is relatively scarce. There is, however, some solid scientific evidence supporting carnitine’s use for improving recovery from resistance exercise, such as bodybuilding. We’ll have look at this in more detail below as well as some recent exciting developments on how to optimise carnitine’s benefits. Carnitine is a dipeptide; meaning it is made up of two amino acids; namely, lysine and methionine. Red meats and dairy products are the best food sources of carnitine, putting vegetarians and vegans at risk of mild carnitine deficiency. It may come as a surprise to many that over 95% of the body’s carnitine pool is confined to skeletal muscle. So from a research standpoint, the focus has always been on how to modify muscle carnitine levels. It’s worth making special mention of the L-tartrate form of carnitine made by Lonza Ltd, Switzerland. Lonza sell this form under the brand name CarnipureTM. Lonza have sponsored and published a large number of studies on CarnipureTM which is widely acknowledged as the best quality and form of carnitine. Supplements featuring this form of carnitine will often specify it on their label under the brand name, CarnipureTM. Carnitine’s best known function in the body is as a facilitator of the transport of fatty acids into the mitochondria for oxidation. The second, lesser-known function of carnitine relates to its role in maintaining high intensity exercise. This part of carnitine’s action is too tricky to explain biochemically, but suffice to say it helps minimize lactic acid build up during high intensity exercise such as bodybuilding. So in theory if you can boost your muscle carnitine levels, you get an aerobic and anaerobic edge, making it a very desirable ergogenic. Because of carnitine’s pivotal roles in energy metabolism, there have been a plethora of studies over the past three decades exploring carnitine’s effect on a range of exercise metabolic variables. There are multiple studies in athletes which have included a range of measures related to fat oxidation during exercise, which have showed positive effects2. Its beyond the scope of this article to get into the nitty gritty of why carnitine may assist fat-loss for some and not for others and the exact biochemical mechanisms governing its action. But suffice to say there are plenty of anecdotal reports suggesting carnitine helps reduce body fat and there is certainly a sound theoretical basis for carnitine to increase fat burning. As with many supplements, however, individuals will always respond differently. This is dictated in part by each individual’s diet, environment and genetic make-up. As far as carnitine’s purported anaerobic capacity enhancing properties; it’s much the same story, with very few positive studies. Again, this is thought to be due to oral carnitine’s inability to raise muscle carnitine levels. There's also encouraging research when it comes to carnitine’s benefits for recovery. A string of studies in the past decade have provided solid evidence that oral carnitine is effective at reducing damage to muscle tissue after resistance exercise and optimising the process of muscle tissue repair and remodelling3-8. 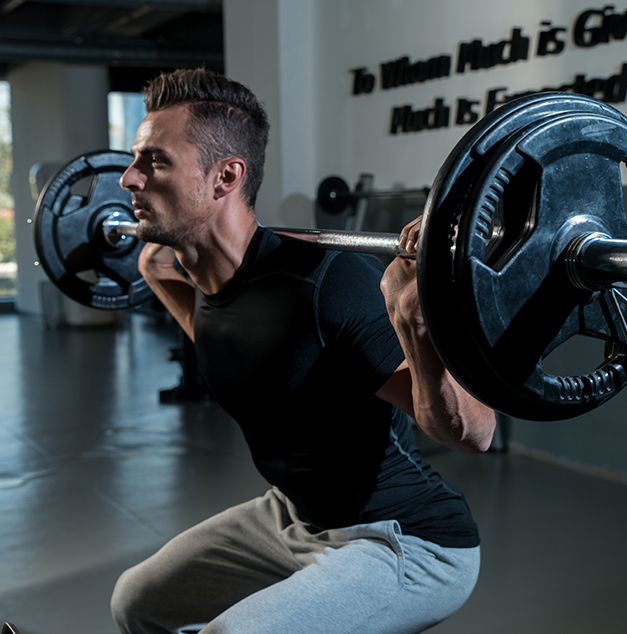 While the studies did not show that carnitine affected strength or power, it stands to reason that if you can recover better after each session then you can push harder at your next session. The key thing worth mentioning is that most of these studies had subjects consume carnitine after their weight session. So this adds merit to the notion of including carnitine in your post-workout supplement. Most of the studies cited above used a dose of 2g of L-carnitine L-tartrate. However, one study sought to address the question of the optimal dose required. When comparing 1g versus 2g, they found that just 1g of L-carnitine L-tartrate was enough to elicit the same magnitude of effects as seen with 2g on measures of muscle damage and repair9. This is good news for the average bodybuilder as carnitine is one of the more expensive sport nutrition supplement ingredients. In an exciting development, a recent series of studies by a group of researchers at the University of Nottingham revealed that it is in fact possible to increase muscle carnitine levels by consuming oral carnitine10-14The trick is that you have to have a good dose of carbs with the carnitine. Why…you might ask? As it turns out, insulin plays a key role in transporting carnitine into muscle tissue. Taking carbs with your carnitine results in an insulin spike, which helps shunt carnitine into muscle tissue. Before you get too excited though, there is another catch you need to know; it takes a long time to produce a meaningful difference in muscle carnitine levels. How long you ask? 6 months…yes that is not a typo…6 months14. 6-months is the time it took to see a significant rise (i.e. 21%) in muscle carnitine levels when the researchers from Nottingham undertook their ground-breaking study, published in 2011. In the study, they measured subjects’ carnitine levels at baseline and at three months, however, the effects were only noticeable after 6 months14! It’s worth noting that the subjects in the study were having 80 grams of carbs with 2 grams of L-carnitine L-tartrate twice a day. 80 grams is a pretty solid dose of carbs, which may be pushing the boundary for the extra ‘carb-conscience’ bodybuilder, especially when nearing competition, but it’s not totally over the top. A typical breakfast consisting of some porridge, honey, bananas, toast and juice would be pretty close to, if not greater than 80 grams of carbs. As an interesting aside, the 80 grams of carbs came from the popular Vitargo carbohydrate which is a patented, long-chain molecular carbohydrate with low osmolality, shown to exit the stomach faster than common carbohydrates like maltodextrin, sucrose and glucose. The aforementioned study included a low-intensity and high-intensity exercise test on a stationary bicycle. During the high intensity test muscle lactate content was 44% lower and the muscle phosphocreatine/ATP ratio was better maintained in the carnitine group compared to controls. Even though this study used an exercise test on a stationary bike as opposed to an intensive gym workout; the findings are very exciting. It’s perfectly reasonable to expect that long term supplementation with carbohydrate and carnitine will lead to lower lactate levels and a better phosphocreatine/ATP ratio for the average bodybuilder. Lower lactate levels and higher phosphocreatine levels should allow for more intense workouts possibly leading to greater muscle hypertrophy and strength gains. So the findings above certainly seem to warrant regular inclusion of carnitine, particularly the L-carnitine L-tartrate form, in your everyday post-workout recovery shake. In the short-term, this should improve muscle recovery, while in the long term it should improve your strength gains and workout intensity. 1 Villani RG, Gannon J, Self M, Rich PA. L-Carnitine supplementation combined with aerobic training does not promote weight loss in moderately obese women. Int J Sport Nutr Exerc Metab. 2000;10(2):199-207. 2 Karlic H, Lohninger A. Supplementation of L-carnitine in athletes: does it make sense? Nutrition. 2004;20(7-8):709-715. 3 Giamberardino MA, Dragani L, Valente R,et al. Effects of prolonged L-carnitine administration on delayed muscle pain and CK release after eccentric effort. Int J Sports Med. 1996;17(5):320-324. 4 Volek JS, Kraemer WJ, Rubin MR, et al. L-carnitine L-tartrate supplementation favourably affects markers of recovery from exercise stress. Am J Physiol Endocrinol Metab. 2002;282:E474–E482. 6 Ho JY, Kraemer WJ, Volek JS, et al. L-carnitine L-tartrate supplementation favorably affects biochemical markers of recovery from physical exertion in middle-aged men and women. Metabolism Clinical and Experimental. 2010;59:1190–1199. 7 Kraemer WJ, Spiering BA, Volek JS, et al. Androgenic responses to resistance exercise: effects of feeding and L-carnitine. Medicine & Science in Sports & Exercise. 2006;38(7):1288-1296. 8 Spiering BA, Kraemer WJ, Hatfield DL, et al. Effects of L-carnitine L- tartrate supplementation on muscle oxygenation responses to resistance exercise. J Strength Cond Res. 2008;22(4):1130-1135. 9 Speiring BA, Kraemer WJ, Vingren JL, et al. Responses of criterion variables to different supplemental doses of L-carnitine L-tartrate. J Strength Cond Res. 2007;21(1):259–264. 10 Stephens FB, Constantin-Teodosiu D, Laithwaite D, et al. Insulin stimulates L-carnitine accumulation in human skeletal muscle. FASEB J. 2006;20(2):377-379. 11 Stephens FB, Constantin-Teodosiu D, Laithwaite D, et al. An acute increase in skeletal muscle carnitine content alters fuel metabolism in resting human skeletal muscle. J Clin Endocrinol Metab. 2006;91(12):5013-5018. 12 Stephens FB, Evans CE, Constantin-Teodosiu D, et al. Carbohydrate ingestion augments L-carnitine retention in humans. J Appl Physiol. 2007;102(3):1065-1070. 13 Stephens FB, Constantin-Teodosiu D, Laithwaite D, et al. A threshold exists for the stimulatory effect of insulin on plasma L-carnitine clearance in humans. Am J Physiol Endocrinol Metab. 2007;292(2):E637-E641. 14 Wall BT, Stephens FB, Constantin-Teodosiu D, et al. Chronic oral ingestion of L-carnitine and carbohydrate increases muscle carnitine content and alters muscle fuel metabolism during exercise in humans. J Physiol. 2011;589(Pt4):963-973.